Day 2 : Istanbul - Bangkok - Pattaya. Arriving Bangkok airport and direct transfer to Pattaya. Day Free in Pattaya. Overnight hotel in Pattaya. After breakfast, full day tour to Koh Larn Island (coral Island). Sea Food Lunch at a beachfront restaurant. Enjoy the powdery sands and clear water. Time free for all water sports activities such parasailing. Overnight hotel in Pattaya. Day 5 : Pattaya - Bangkok. Check out from hotel and transfer to Bangkok. Overnight hotel in Bangkok. Half Day Temples & City Tour with visits to the three most important Temples in Bangkok, GOLDEN BUDDHA (made from 5.5 tons of solid Gold), RECLINING BUDDHA (the largest and oldest Buddha in Bangkok) & MARBLE TEMPLE (A monastery built with white Italian marble from Carrara). 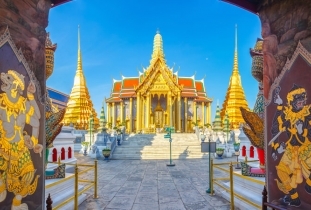 Afternoon Half Day tour to the GRAND PALACE Complex one of the wonders of the world today which includes the most exotic Buddhist temples as well as the fabulous EMERALD BUDDHA TEMPLE, and The Coronation Hall. Nearby The Grand Palace the official residence of the King of Siam built in traditional Thai mixed with European designs.﻿ Overnight in Bangkok. Day 8 : Bangkok - Istanbul - Beirut. Check out of hotel room noon time. Day Free. Late afternoon, transfer to Airport and board flight to Beirut via Istanbul. Return Economy class ticket on Turkish Arlines on “V” booking class: Beirut - Istanbul - Bangkok - Istanbul - Beirut. Accommodation in selected hotel for 3 Nights in Bangkok & 3 Nights in Pattaya with daily Buffet Breakfast. Bangkok / Pattaya / Bangkok Transfers. Two Half Day sightseeing tours in Bangkok. 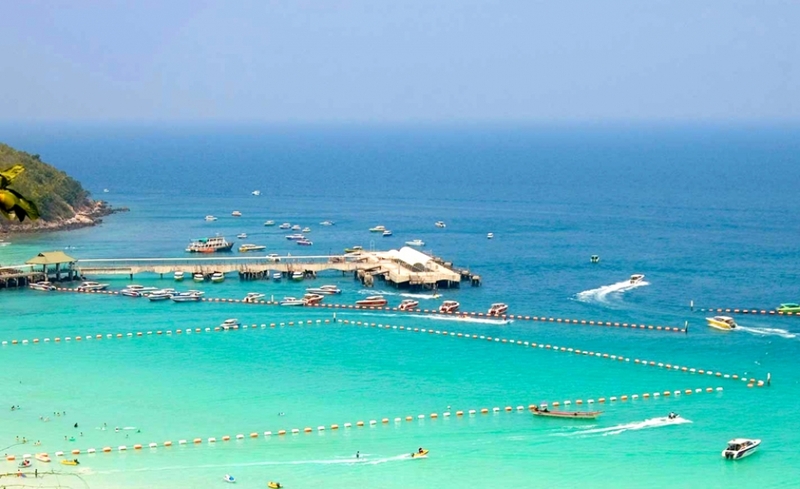 One Full Day tour in Pattaya to Coral Island including Lunch.